We are often asked about “biological” tests for soil, with growers increasingly wanting to look after their soils as a foundation goal in sustainable farming. 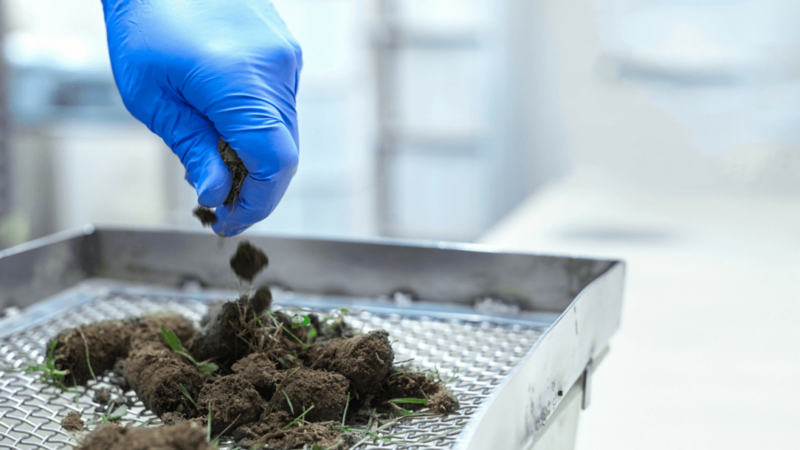 One of the main problems with current tests used to assess soil “biological” activity (such as microbial counts, microbial biomass carbon and phosphorus), is that the soil sample needs to be received at the laboratory as a fresh sample – and very quickly after the sample collection time as well as being kept chilled to minimise any changes in the microbial life. This presents some logistical difficulties for most parts of the country. Results for these “point-in-time” tests are dependent on current soil temperature and moisture levels, and as such can be highly variable and therefore very difficult to interpret. These tests are also usually quite expensive. A more simple approach taken by Hill Laboratories is to offer a test that can be done on the same sample submitted for pH and nutrient testing – avoiding the need for any special handling. We have recently introduced the well-researched Hot Water Extractable Carbon (HWEC) soil test that can be used in addition to the standard fertility tests and visual soil assessment to get a holistic view of soil health. Scientists from AgResearch, Plant & Food Research and Landcare Research have shown the HWEC test to be a very good indicator of soil health. This test is highly correlated with microbial biomass measures and is very sensitive to changes in land-use and management. Results can be monitored over time, providing well-researched interpretive value. A special HWEC test price of $20 is offered from Spring 2018 to enable farmers and growers to make use of it. Once the lab has a sufficient result database from New Zealand farms, orchards and vineyards we will be able to construct an NIR-calibration for this test and maintain the service benefits that will bring. A more detailed technical note (Laboratory Test for Soil Carbon) is available.